Compatibility: Exclusively designed for the iPhone XR 2018. 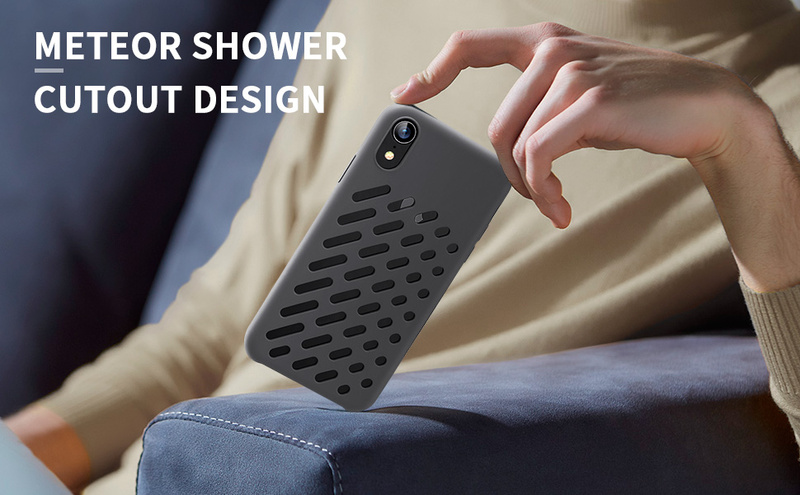 Stylish and Colorful: Designed with back cutouts for faster heat dissipation, the case comes in 3 fashionable colors to keep your iPhone XR looking great for any occasion. Slim Fit: The ultra-thin and lightweight design adds minimal bulk to your iPhone XR. Premium Protection: The iPhone XR Silicone case combines with PC to help protect your iPhone XR from accidental bumps and drops. Excellent Grip: The iPhone XR slim case has a smooth, scratch-resistant surface that feels as good as it looks without being slippery. Made from shock-resistant and flexible silicone rubber, the case goes on to your phone with ease. A good fit and makes the iPhone easier to handle.